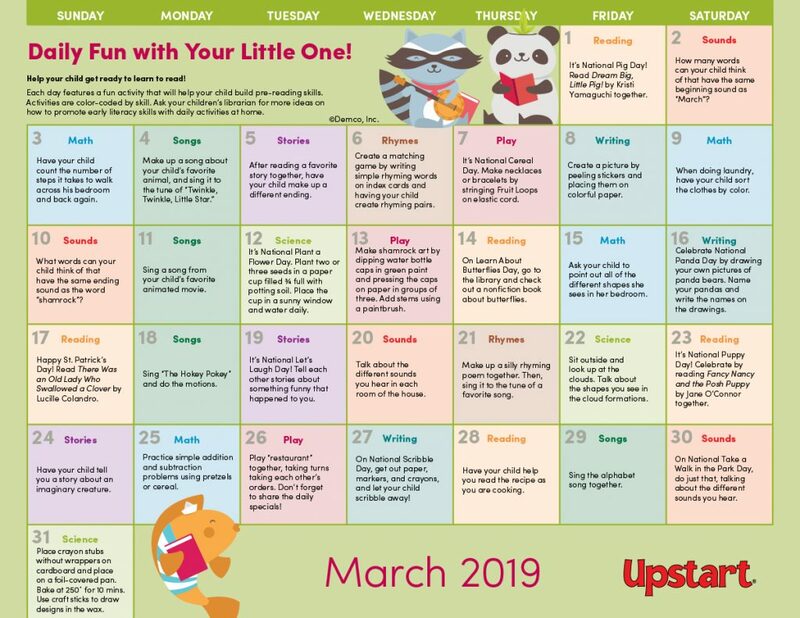 Welcome spring with a month of early literacy activities parents can do at home with their little ones. 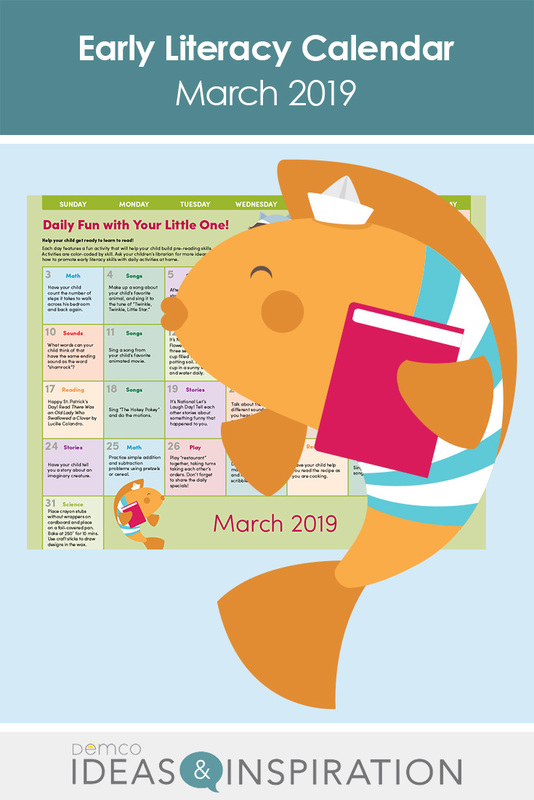 The March calendar is full of craft ideas, math and science activities, book suggestions, songs, and more to celebrate not only St. Patrick’s Day, but unique days like National Scribble Day, Plant a Flower Day, and much more! I can’t get the March calendar to Print borderless on my printer and I’m losing some of the calendar content. Any advice? In the print window, check the box that says “fit to page.” Hopefully this helps!